A commercial quality barbell storage rack for all your fixed-weight straight barbells and fixed-weight curl barbells. Holds 10 barbells, 5 on each side. 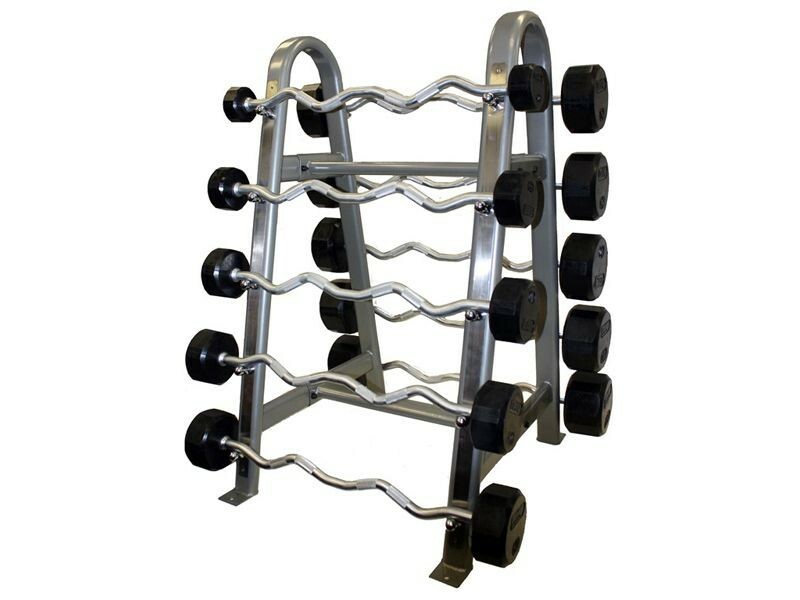 This rack is slightly narrower than other racks on the market so that it can fit Troy's fixed weight curl barbells, which are shorter than straight barbells. It will fit any with shafts at least 29" long. It's also a little shorter than other brands, making it easier for users to grab the top shelf weights without strain. 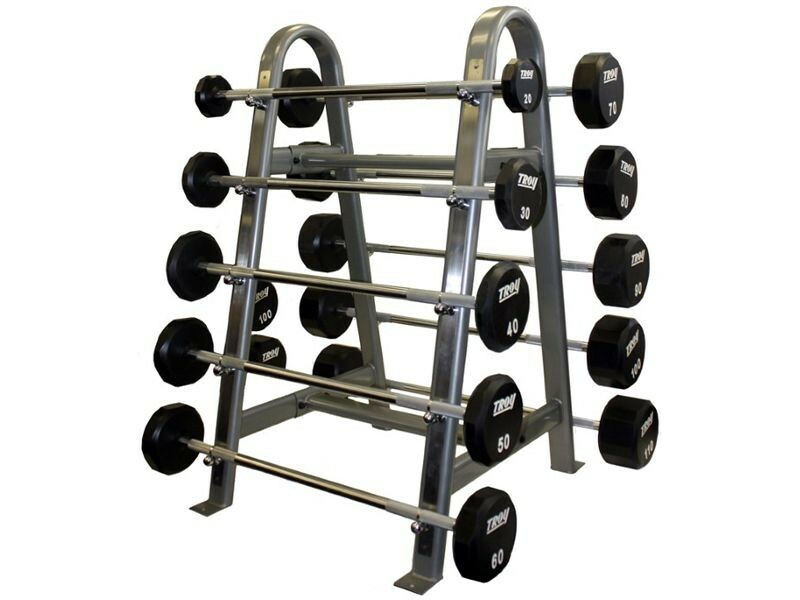 Each side of this rack is 1-piece welded construction for maximum strength and stability. Bolts attach the horizontal crossmembers (assembly required).